With the rising popularity of “cannabis tourism” in the nine states and the District of Columbia where recreational marijuana has been legalized, it’s important for cannabis tourists and general adventurers alike to be able to quickly identify 420-friendly lodging, so that they can comfortably indulge without disruption. The following is a compilation of 420-friendly hotels in each state where recreational marijuana is legalized as well as a breakdown of the unique 420-friendly accommodations that each lodge or hotel has to offer. Some of these include big, name-brand hotels, while others are Airbnb or “bud and breakfast” locations specifically geared toward 420-friendly experiences. 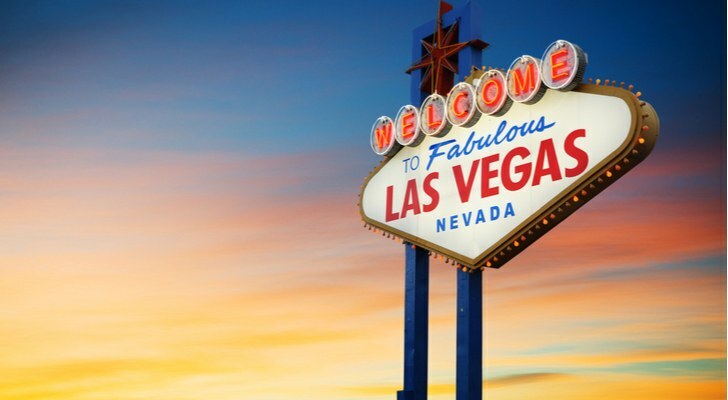 Perhaps no other city on this list is as notorious for promoting indulgent activities than Las Vegas, Nevada. And fortunately for the cannabis-smoking crowd, recreational marijuana is now legalized in Sin City. If your journey to Vegas doesn’t just revolve around gambling and you’re in the mood for a carefree smoke of the green leaf, then here are some 420-friendly hotels that will help you top off your inevitable bank account-busting trip. About: This bud and breakfast experience offers cannabis adventurers a unique 420 experience with access to a fully stocked bud bar, personal chef, chauffeur and cleaner as well as “transportation to and from the LAS airport.” It also gives its patrons freedom to smoke inside, outside and in the lounge area. About: For those that are looking for a luxury 420-friendly hotel that’s right on the Las Vegas Strip, the Cosmopolitan of Las Vegas is an attractive option. It features numerous shopping, restaurant and entertainment options in addition to all the other things you’d expect from a 5-star hotel … and it’s smoke friendly. About: For the 420 traveler who is more gambling focused, the Aria Resort & Casino offers ideal amenities, along with nightclubs and 24-hour bars. Its casino options include poker, slots, table games and race and sports booking, among several other options. 420-Friendly Hotels in Washington, D.C. 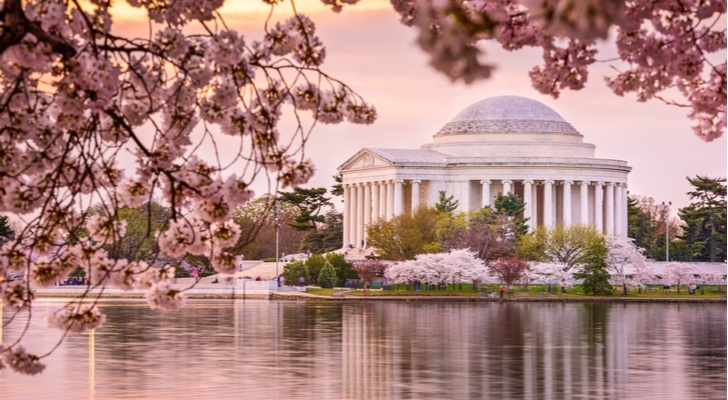 If you’re interested in exploring the nation’s capital while taking advantage of the legalization of marijuana, then these lodges might be the perfect solution for when you want to unwind after a lengthy day trip to all of D.C.’s historical hot-spots. About: This 420-friendly space is located in south-east D.C. in an area that has easy access to public transportation. What you’ll get with this lodging is a one-bedroom, 1,300 square foot space that comes with free samples of cannabis strains and edibles. As a bonus, there is an entertainment area that can serve up to 25 guests, though some restrictions apply. About: This town-home lodge is located in north-east D.C., and it provides patrons with a cannabis treat prepared according to their preferred method of indulgence as well as all the amenities of a regular home. Smoking is allowed on the main floor and patio, while vape pens are allowed in the bedroom. What makes this location standout from others in D.C. is its affordable pricing — at $75 a night, it’s hard for the 420-minded to beat this option. As one of the first states to legalize recreational marijuana use, Colorado sets itself apart from most other states on this list as an exceptional destination for any 420-enthusiast. 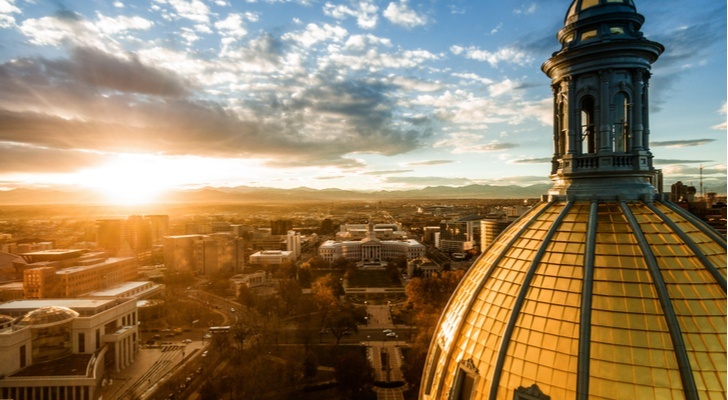 In addition to hosting many 420-specific events, Denver, Colorado also provides all the nightlife and notable restaurant destinations you’d expect from any major city — all with a beautiful mountainous backdrop. About: This 420-friendly hotel is ideal for cannabis adventurers that aren’t interested in an out-of-the-box experience but still seek high-end lodging as they venture through Denver, Colorado. About: This bud and breakfast is based in a Victorian-era household in “one of Denver’s most historic neighborhoods.” It offers everything you’d expect from a standard bed and breakfast experience, with a few extra special baked goods added in for good measure. About: Touted as a “hip cannabis-friendly oasis,” this two-story luxury loft in Denver offers patrons access to numerous unique amenities, including the chance to rent a 12-passenger limo, Tesla Model X and Tesla Model S with a chauffeur. 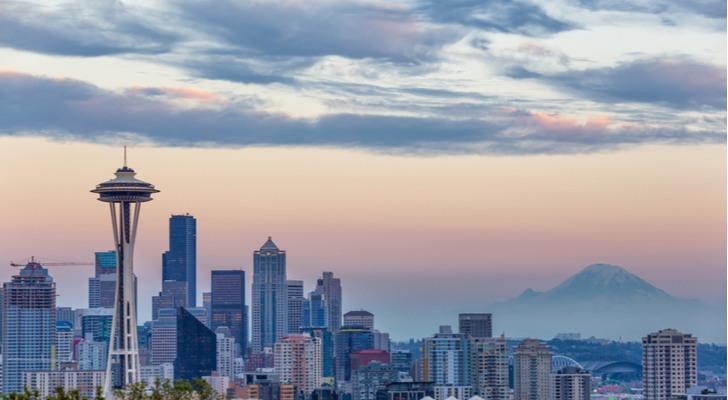 It might be known as the Rainy City, but Seattle, Washington is also a 420-friendly city. No matter the weather, visitors can always find a way to indulge in some unique, “relaxing activities” at these 420-friendly hotels. About: Although smoking is not allowed indoors at the 420-friendly Bacon Mansion Bed and Breakfast, it is permissible in porch and patio areas, and edibles are, of course, permitted as well. What you’ll get with this bed and breakfast is a unique medieval theme and housing that’s conveniently located in downtown Seattle. About: The Winston House is a cozy bed and breakfast located “in the heart of Seattle, WA.” With a wooded backyard and a highly rated, 420-conscious host, this cabin will provide a touch of earthiness to your stay in the Rainy City. Note that although this lodge is 420-friendly, smoking is only allowed outdoors. About: The Sweet Suite is another Seattle-based, 420-friendly lodge with a historical theme. In this case, it’s a 1903 Victorian home. The primary suite is a unique “harem-like suite with an enormous bed” and is described as both “romantic and whimsical.” Like most other stays on this list, smoking is strictly limited to outdoor spaces throughout the home. 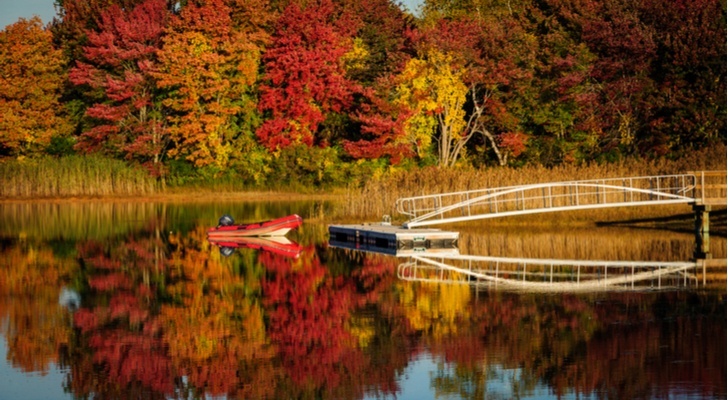 Maine isn’t as well known for its crazy nightlife as some other locations on this list, but those who are looking to get closer with nature and experience some insanely beautiful views on their cannabis-laced adventure will find these 420-friendly lodges appealing. About: Maine Greenyards stays true to its name. The Auburn, Maine-based 420-friendly lodge features the basic household features you might expect, but it also gives its patrons access to a tour of its cannabis garden, which includes garden “gifts” as well as eggs from its free-range chickens. To top it all off, this 420-friendly environment features access to an indoor pool and jacuzzi. About: This bud and breakfast experience is for those who are willing to spend a little extra money on their trip to Maine. But baked into the high price-per-night is the chance to stay in a stunning, four-bedroom vintage waterfront cottage, with amazing views from every window, 3.5 acres of land and 800 feet of front-house water to enjoy. The Seaside Cottage accommodates parties as large as 12 people. About: This hotel located in Blue Hill, Maine allows patrons to smoke cannabis through vaporizers only, but aside from those limitations there are a few perks to this location. The Barncastle Hotel is located near hiking, kayaking and sailing activities and it features its own restaurant with a wood-fire pizza oven. 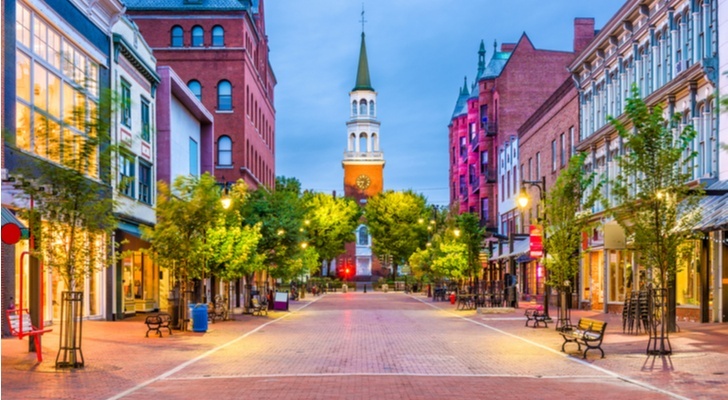 Known for its maple syrup and heavily forested landscape, Vermont will never be as notorious as a 420-friendly city like Las Vegas, but what it lacks in opportunities for self-indulgent mayhem, it makes up for in its 420-friendly lodges, which take full advantage of the state’s plentiful natural attractions. About: This outside smoking friendly lodge is located near Okemo Mountain, which means it not only includes an impressive view, but easy access to the Okemo Mountain Resort. Ideal for more peaceful and tame patrons, this farm lodge welcomes 420 indulgence while promoting outdoor activity over indoor lounging. About: As you might have guessed from its name, the Mt. Philo Inn is located in Mt. Philo State Park in Charlotte, Vermont. As such, it features Vermont’s spectacular mountainous views, as well as a lakeside view. But as “in tune” with nature as this inn may be, it still features nearby access to museums and restaurants in downtown Burlington and Middlebury. About: Advertised as a “funky house,” this 420-friendly homestay is one of the cheaper options of the bunch, despite its close proximity to downtown Burlington. And it features all of the essentials of most homes. 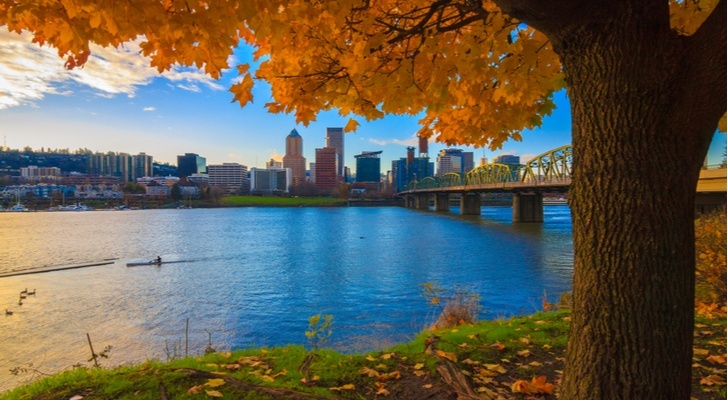 Portland, Oregon is well known for its embellishment of alternative lifestyles and attitudes, so it shouldn’t be a shock to anyone that it also offers some of the most “far out” 420-friendly hotels on the list. About: If there’s any questioning the openness of The Jupiter hotel to 420 travelers, let the fact that it features Oregon’s first cannabis-friendly hotel package put your mind at ease. Although the package doesn’t include any of the green stuff itself, it provides you with everything you need on your at-home trip. Add to this the fact that the two hotels consist of vintage and modern housing options and you’re set for the full Portland experience. About: Although it is not directly located in Portland, this manor in Happy Valley, Oregon is close enough. And it gives patrons access to a 24/7 breakfast bar alongside a grand room with a piano and fireplace. This is one of the less eccentric and more wholesome lodges near Portland. About: The Eastmoreland Retreat is a 420-friendly, two-bedroom airbnb based in Portland that has an affordable price as well as cannabis equipment accompanying standard lodging amenities. 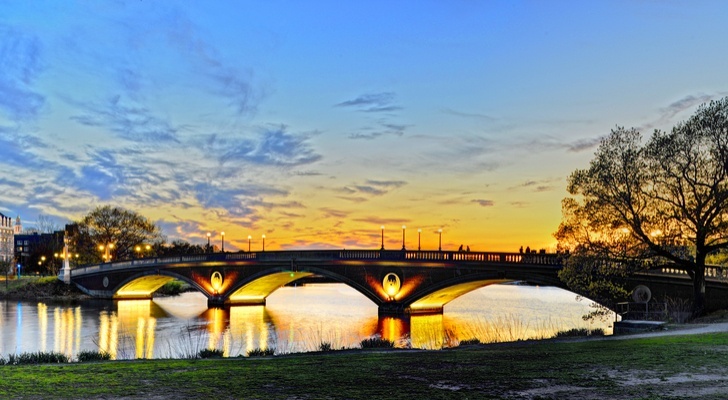 Moving on from some of the more eclectic hotels offered in Portland, Oregon, travelers who are — again — considering a more mellow destination for their 420 adventure might seek comfort in a state like Massachusetts, which has a nice combination of natural appeal and attractions for city-minded folks. About: Located in Springfield, Massachusetts, Dave’s Inn is a 420-friendly historic colonial Victorian lodge that permits indoor and outdoor smoking and features cannabis provisions. Patrons get access to these cannabis-specific amenities as well as close proximity to a variety of outdoor and indoor activities. About: This 420-friendly cottage is located in Cape Ann, Massachusetts. It has standard lodging fare and is outside smoking only, but it also has direct access to hiking trails and other nature-based activities like a private quarry where patrons can swim. About: This is a cannabis friendly bed and breakfast located in Cambridge, Massachusetts, that features standard bed and breakfast amenities and nearby access to universities, historical attractions and dining within the Cambridge and Boston areas. 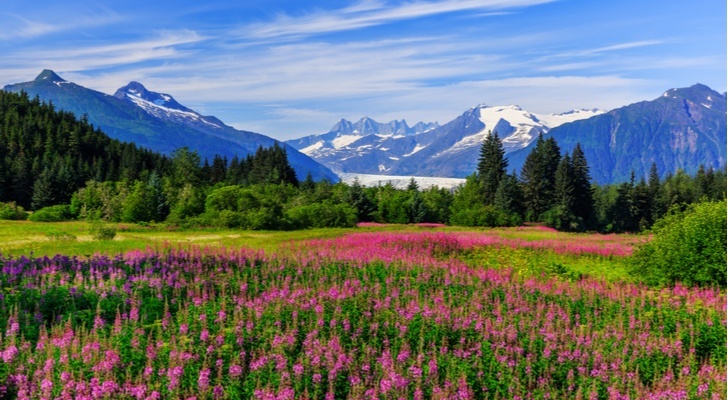 Alaska is not known for its bustling city appeal, but rather, this state is a 420-friendly space that is primarily attractive to people who love the outdoors. As such, many of the 420-friendly hotels and lodges offer access to a more “natural” entertainment and plenty of outdoor activities. About: Bowman’s Bear Creek Lodge features seven unique cabins of varying sizes. But the key attraction here lies within what’s outside of the housing … namely views of the glaciers of Bear Valley and opportunities for rafting and fishing. About: Alaska’s Capital Inn is a bed and breakfast located in Juneau, Alaska. As with the other Alaskan 420-friendly lodges, the primary attraction is nearby access to outdoor activities. In this case, the Capital Inn has proximity to a few unique activities like dog mushing, helicopter tours and floatplane tours. About: The Silverbow Inn is another 420-friendly stay that’s located in Juneau, Alaska. As such, it features access to similar attractions as the Capital Inn, but Silverbow’s lodging has more contemporary aesthetics. 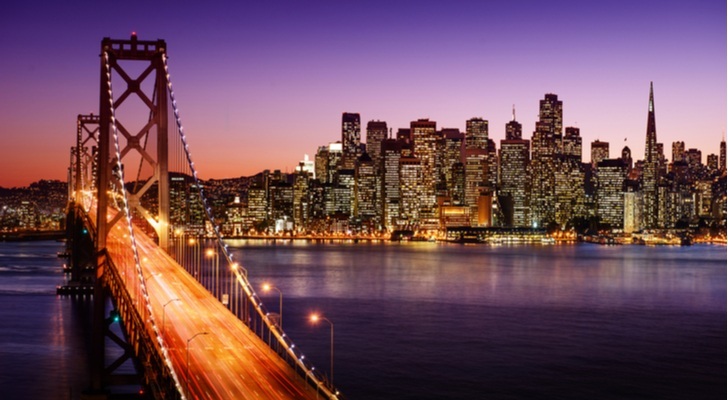 The Bay Area is known for its general open-mindedness, beautiful views and nightlife appeals, making it a hip destination for any cannabis tourist who wants the best of both worlds, both natural and city-based attractions. About: This bud and breakfast location offers patrons a 420-friendly space in San Francisco at an affordable rate ($100 per night). Although it does include cannabis provisions, the primary attraction of this lodging is less the space itself and more-so the easy access to the city of San Francisco itself. About: Although the Sage Hen Cottage isn’t directly located in San Francisco, it is a 420-friendly space within driving distance of the city and several Californian wineries. The host allows indoor vaping as well as outdoor smoking on the cottage grounds. About: This 420-friendly space offers patrons access to traditional bed and breakfast amenities and is located in the heart of San Francisco. As of this writing, the InvestorPlace staff did not hold an interest in any of the aforementioned businesses. 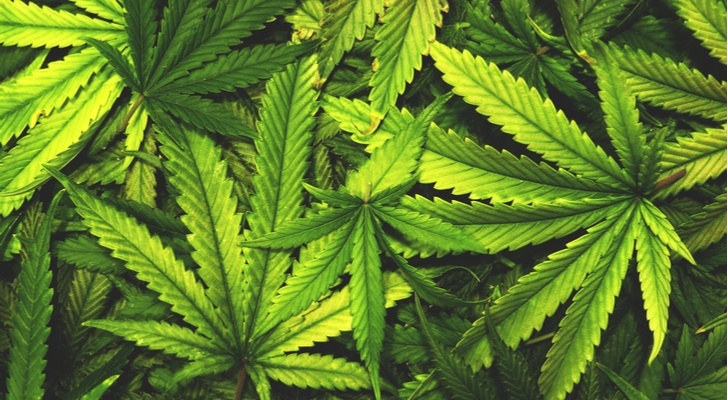 Article printed from InvestorPlace Media, https://investorplace.com/2018/06/420-friendly-hotels-29-joints-catering-to-the-cannabis-crowd/.